King of Saudi Arabia Salman Bin Abdulaziz was set to visit Maldives on 18th March 2017. There were 3 resorts exclusive booked for him. These were not cheap islands. The luxury resorts booked were One&Only Reethi Rah, Anantara Kihavah and Sheraton Maldives. His entourage reportedly included 25 princess, 10 princes and more that counts as high as 1500 members in total. His private yacht Al Salamah was sailed to Maldives prior to king’s arrival. 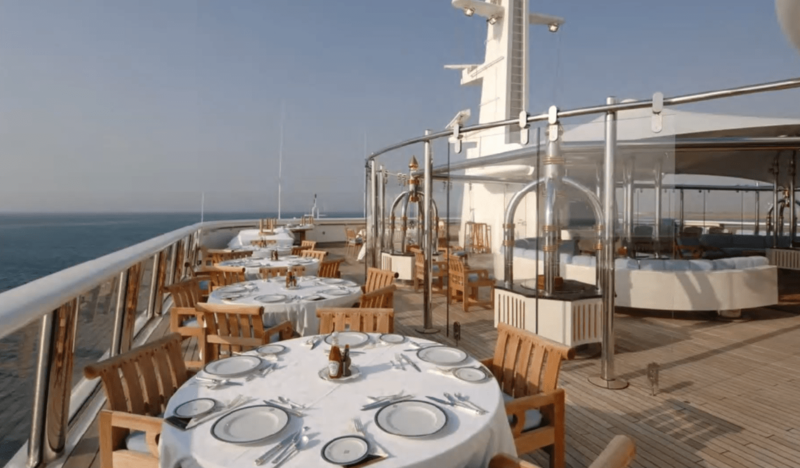 The 10th largest superyacht has 4 rooms dedicated for the king along with his office, private hospital and various other luxury facilities which even includes a hair dresser. Now, you may wonder how often would a man cut his hair? Not that often and I don’t see much of hair on king anyway. And I would not be surprised if that hairdresser on-board never actually served king in his/her entire career. Because, king does not seem to use the yacht often. In fact it looks more like being used as a floating hospital despite all the lavish luxury facilities that even a rich person cannot afford. The golden interior of the yacht is simply mind blowing. 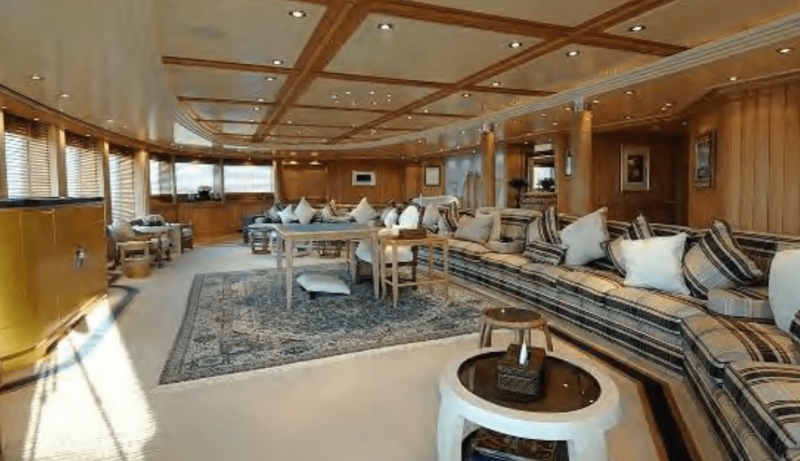 There are couches and sofas in so many places of the yacht, they don’t seem like being used in a recent period. It looks more like washed, cleaned and repeating the same circle over. Now the king’s arrival date has passed and he did not visit Maldives. Officials reported said the kind cancelled trip due to an on going flu in the Maldives. But, the cancellation came to public just 2 days before the arrival. What about the resorts he booked? Technically there is not refund for booking when it is less than 30 days to arrive and there would be 100% cancellation charge. But, in this case it is likely that king could get some kind of discount but I doubt it would be anything reasonable considering the resort booking would cost around $20m – $30m. Well, for the king money is not of so much value, he would probably not care it at all. Otherwise, he could have visited Maldives. Since there is no flu in the resort he booked the probability of catching flu is nothing significant. And few hours of meeting with Maldives president in his office would likely not make him vulnerable either. But, it seems king do not take chances when it comes heath issues. In addition to fully equipped hospital in his yacht reports say the kind ordered to make a hospital in the resort too. So, several high tech equipment were bought to the resorts along while some of the world’s most experienced doctors came to serve during the stay of the king who cancelled the entire trip in the last minute.